Vic West Elementary Parent Advisory Council: Ha, Ha, Ha CHEWWWWW! Well, if ever there was a time for students to remind us of this important message, it is now. Many kids, teachers, and families have been hit HARD by a cold/flu over this winter season. 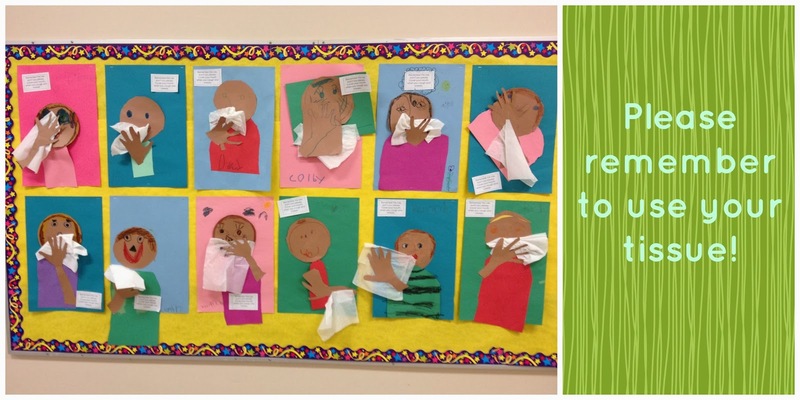 The students of Mrs. Lienard and Mrs. Davey's kindergarten class have created a brilliant and fun bulletin board, reminding us all to use our tissues, not our hands. Lastly, a reminder of the why's and how's of handwashing.